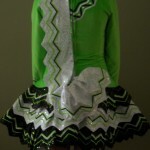 Eyecatching dress by Geraldine Taylor, Taylor Dresses Belfast. Gorgeous on stage! 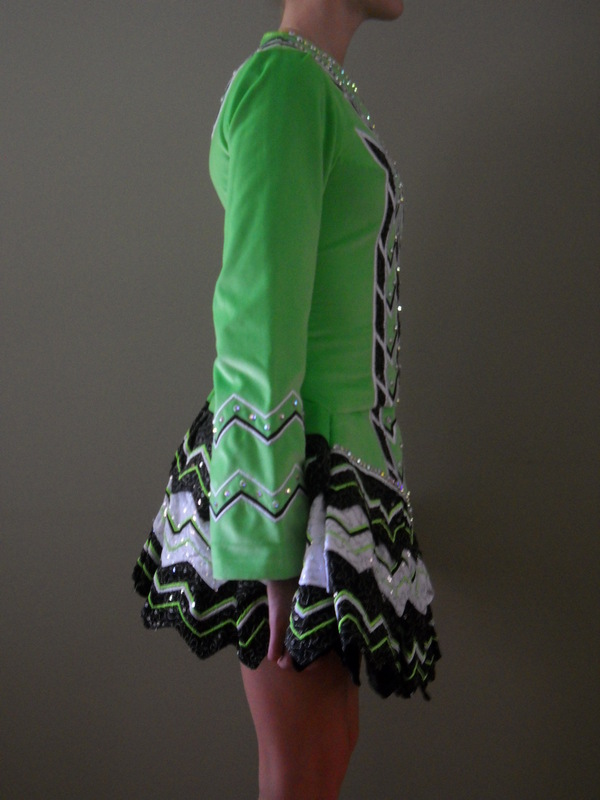 New Sept ‘09, only worn 3-4 times (last time Oireachtas). 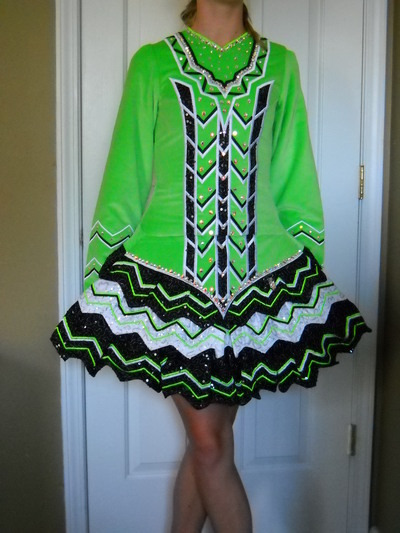 Dancer retiring due to injury. 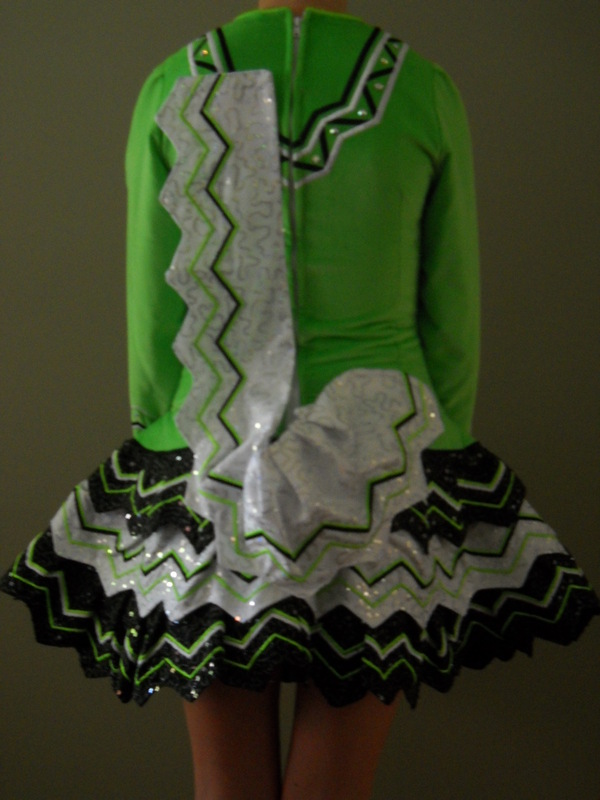 Bright lime green velvet bodice, 3 tier skirt- black, white satin, overlay of silver thread & black sequins for added sparkle. No damage, no odors. Non-smoking home. Plenty of let out at seams, some let down. Please feel free to contact for more pictures, info.